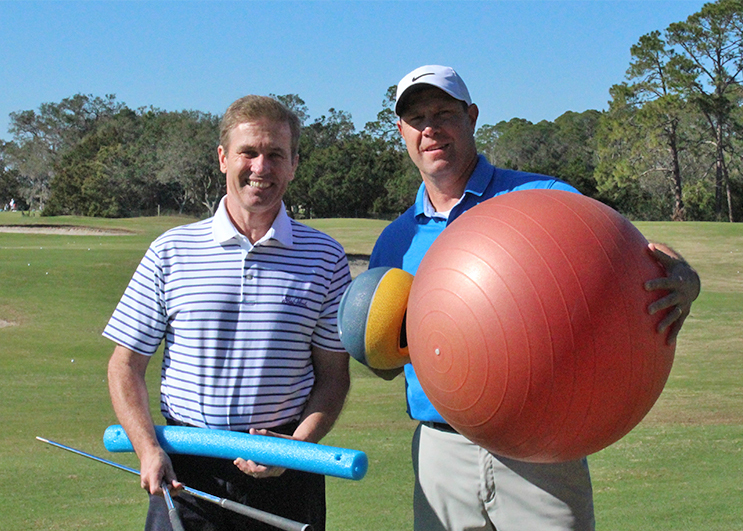 Want an easy-to-follow but thorough road map to actually improve your golf swing? I give you the tools and directions you’re looking for to avoid what I call “early extension.” Read on. In order to identify what I call “early extension,” we first have to draw two important lines, as I’ve done in the photos below. The first line is a vertical line on your backside, as if you are up against a wall. The other important line is a horizontal line at the top of your head, as if the top of your head is touching a roof. The backside line will help identify early Eextension. During the golf-swing, if your backside comes off this line, you are early extending. Although it can occur in the backswing, it is more prevalent in the downswing and follow-through.